Every letter on the Stanley Cup is earned, watch as these great NHL players spell it out for us in this new commercial for the NHL promoting the Stanley Cup Playoffs entitled "Spelling". 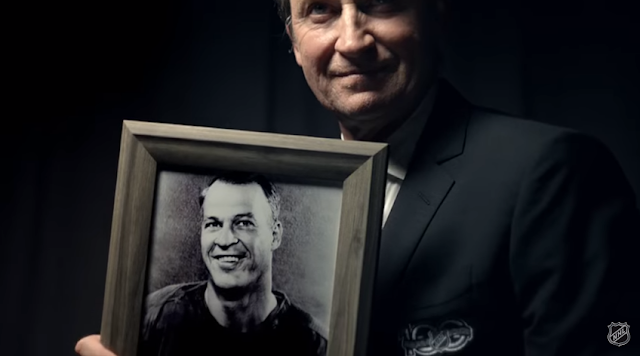 Baby Bear’s Porridge is the creative shop behind the spot featuring such great as Bobby Orr, Brett and Bobby Hull and of course the Great One Wayne Gretzky. 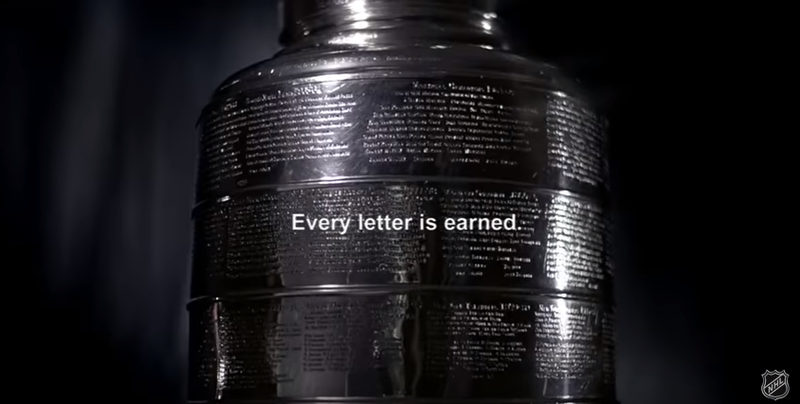 As these and 18 more legendary Stanley Cup champions come together and spell their names for viewers, the magnificence of having one’s name engraved on The Stanley Cup, the most revered trophy in professional sports becomes abundantly clear. Different eras, different teams… all united by this singular accomplishment. Featured in the commercial are these 23 NHL players: Mike Bossy, Ray Bourque, Martin Brodeur, Bobby Clarke, Sidney Crosby, Phil Esposito, Sergei Fedorov, Wayne Gretzky, Bobby Hull, Brett Hull, Dave Keon, Mario Lemieux, Nicklas Lidstrom, Mike Modano, Mark Messier, Bobby Orr, Denis Potvin, Patrick Roy, Teemu Selanne, Billy Smith, Jonathan Toews, Bryan Trottier, Steve Yzerman.